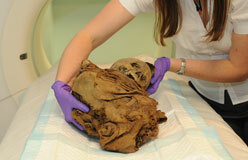 Mummies prepared by human beings can be found all over the world. 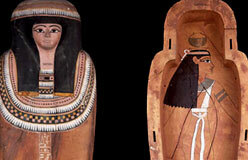 Some of the most famous mummies were created in Egypt. 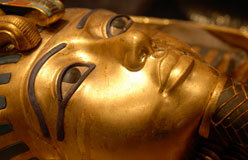 Ancient Egyptians believed that a new life began after death. 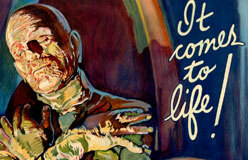 To make sure people got everlasting life, their dead bodies had to stay whole. 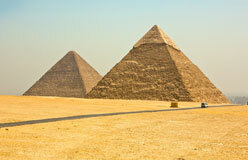 Over the centuries, Egyptians tried various ways to preserve dead bodies. Around 2,600 B.C., they hit upon a perfect solution. Special priests, called embalmers, carefully prepared the body. It took 70 days to remove all the moisture. 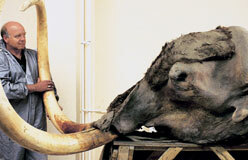 Wearing a jackal mask, the chief embalmer chanted magical spells as he did his job. The mask represented Anubis, the god of embalming. At first, mummification was very expensive. Only pharaohs (ancient Egyptian rulers) could afford it. 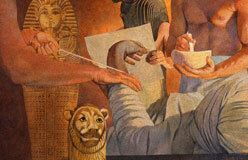 But by 1550 B.C., many ordinary Egyptians could afford to become mummies, too. 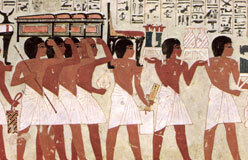 Mummification techniques in ancient Egypt changed over the years. However, most embalmers followed these ten steps.